Most businesses are not in the “business” of disaster recovery and business continuity. Your IT team is focused on your specific industry and customers and the IT solutions and systems that support your bottom line. At the enterprise-level, IBM found that just a little over 6% of IT budgets are spent on disaster recovery and business continuity solutions. Most companies of any size create a plan and test it periodically but that is it. That sounds fine at first, but today’s challenges require that your business continuity solution and disaster recovery plan become ever-evolving and not a periodic item to be checked off the list. Today when disaster strikes the risks are more than just a systems outage, there is also the risk of a breakdown in customer trust. Here are three common misconceptions that IT teams often have about business continuity that reduce the effectiveness of their disaster recovery plans. My employees can work from home in a disaster scenario. This is not always the case. In a weather event your employees may have damage at their own homes, loss of access to connect or even have had to evacuate from the local area. My communication plan adequately covers employees and supply chain partners. You may have a detailed communication plan in place to talk to employees and business partners but what about your customers? Today’s disaster recovery plans need a fully fleshed out communication plan that covers all key stakeholders and takes into account the variety of channels available from phone and text to news media and social media channels. My data is all backed up so restoring it will be no problem. Not so true. It is great to have a data backup solution in place, but have you examined how that backup solution will work in relation to an actual disaster. It may be necessary to tier your applications and data for importance vs. a one-size-fits approach. Different data backup solutions can offer faster recovery of your most critical systems and data. Working with a partner with disaster recovery expertise can help you design a business continuity solution that takes into account the right hardware – for both inside and outside of your data center -, including whether a cloud-based disaster recovery is right for your business. Evolving Solutions works with clients from the early assessment stage all the way through to planning and implementation. 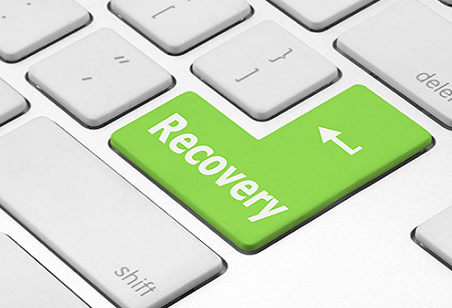 Contact us to learn more about how the right business continuity solution can help your business recover faster. Stay tuned for our next blog post with more helpful information on disaster recovery and business continuity solutions.